So you consistently hit your irons fat…or push them to the right…or your driver’s slice seems to have a life of its own. Put simply you need help. It’s either that or learning how to play croquet. 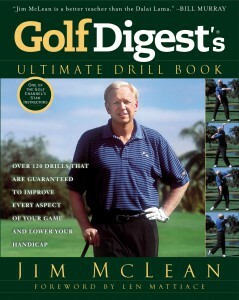 World renowned golf instructor Jim McLean latest book can help. It’s filled with the drills he has used over the years while working with top amateurs and professionals such as Cristie Kerr, Hal Sutton, Sergio Garcia, Tom Kite, Peter Jacobsen and many others. 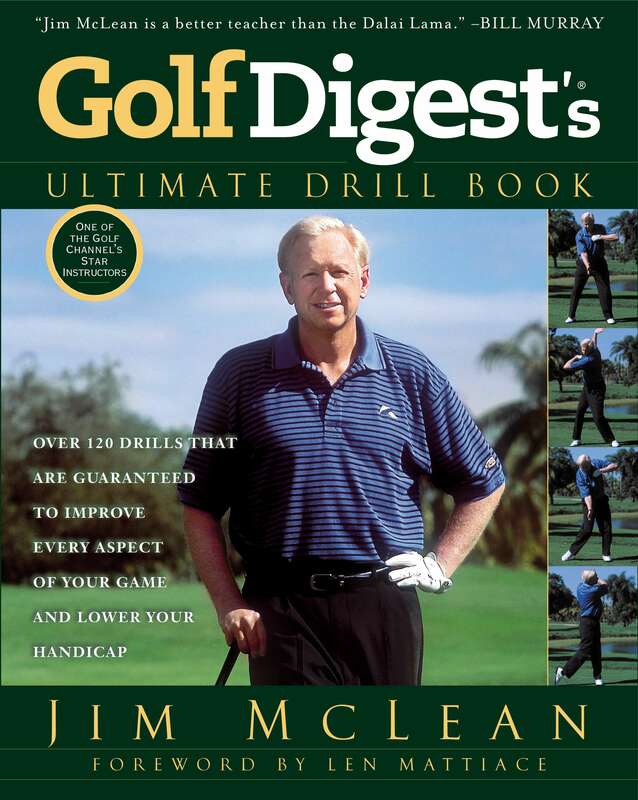 Entitled Golf Digest’s Ultimate Drill Book, McLean has included 120 drills to fix specific swing faults accompanied by 200 photos showing exactly how each is to be executed. Though lacking an index to aid in quickly finding just the drill you need when you need it, there lots of classic drills used for years by the best instructors including some from McLean’s original Book of Drills that has gone through 14 printings since being published in 1990. Additionally the book has dozens of new ways you can use to teach yourself how to swing properly and all share the characteristic of being able to be explained in a minimum of words with photos to illustrate. For example the drill to learn how to hit the low penetrating shots required when playing into the wind takes less than 100 words. And the drill is simple…just practice hitting balls from a slightly downhill lie and take a small divot after impact. Another drill to help teach you to not over-think your putts causing a lack of feel and problems controlling distance is one that Fuzzy Zoeller used and still uses. Whistle-while-you-putt, quietly, to occupy your mind and allow your feel for the strokes rhythm and line take over. The Ultimate Drill Book is filled with gems such as these and worthy of a spot in any golfer’s library.